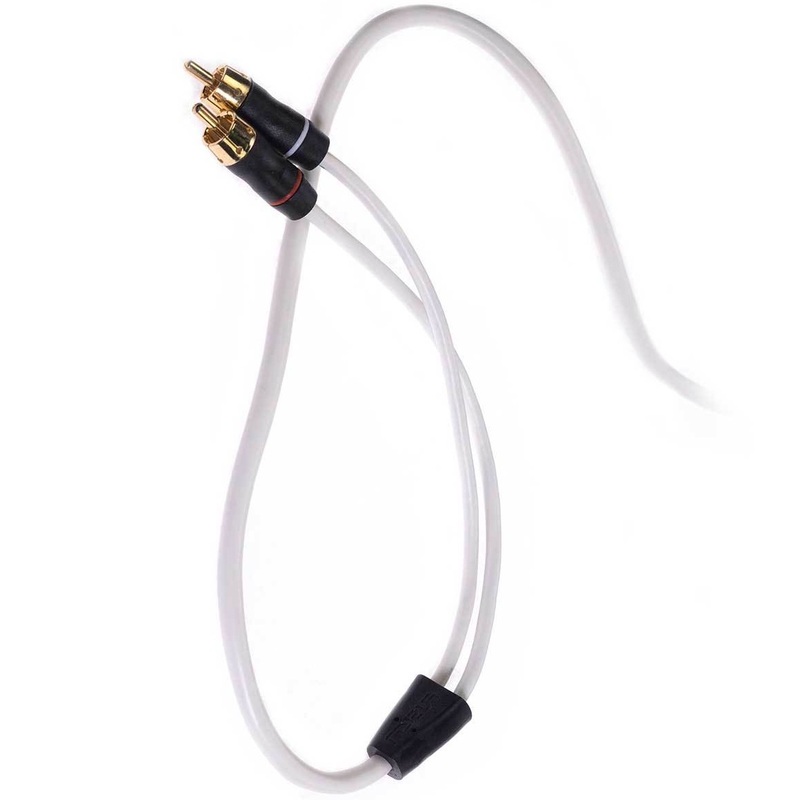 Use the audio interconnect cable to connect your Fusion stereo with an amplifier. Note: When installing, you must follow the directional marking on the cable. With multiple cable lengths and types available, you can find one to suit the needs of your system. These audio interconnect cables are available in 3’ (0.91m) , 6’ (1.83m), 12’ (3.65m) and 25’ (7.62m) lengths, in either 2 channel (MS-RCA) or 4 channel (MS-FRCA) configurations. Y-Splitter cables are also available in either a female to dual male model (MS-RCAYM) or a male to dual female model (MS-RCAYF).